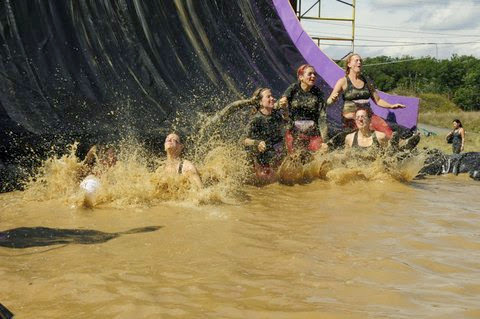 a few saturdays ago i participated in a mudderella with some good friends from church. 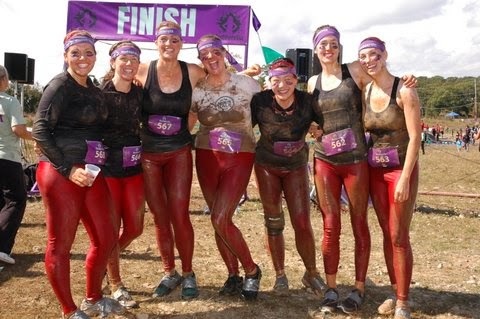 the mudderella was a six mile run in the forests & hills of pennsylvania, with fifteen obstacles scattered through the course. & it just, i mean, completely lived up to its name. 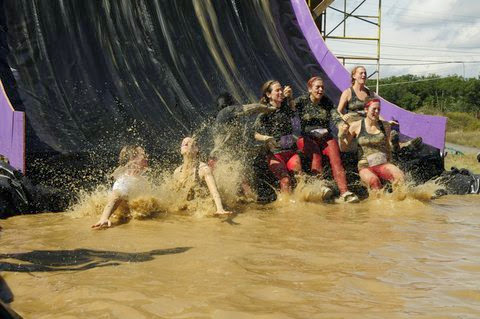 army crawling in the mud, army crawling through a puddly underwater tunnel, swimming through pools of mud. also! 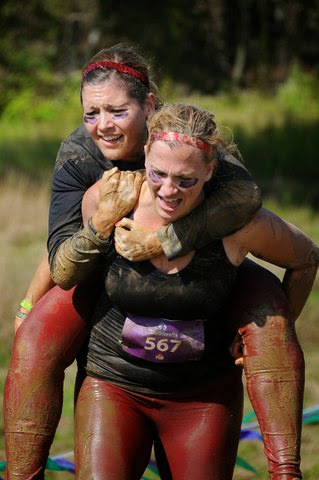 we'd do an obstacle & just, swim in the mud, then run in the heat (it was a hot morning!) 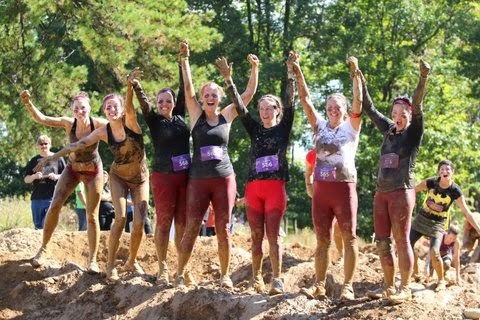 & the mud would dry & crack on our skin, & then we'd do another obstacle & that mud would layer over the dried layer of mud we already had, & so by the end we all had, like, twelve layers of mud upon mud just, everywhere. 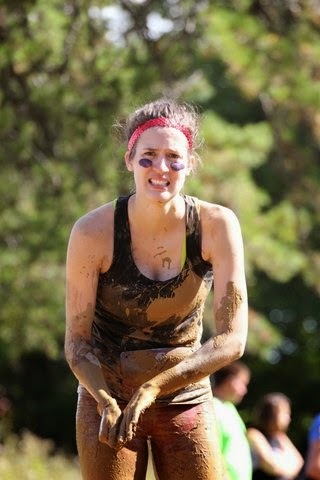 i feel pretty confident in saying it was the dirtiest i've ever been in my life. i had mud in places i didn't even know ex-IS-ted. we were "team red pants," & buying satin-y, shiny leggings from american apparel for our matching uniforms was the best idea ever. 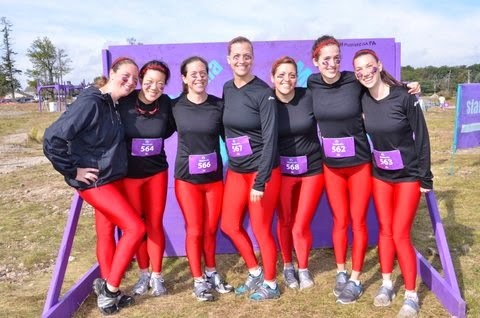 emily (#567 right in the middle) also bought team red pants matching sparkly red headbands that we somehow all managed to keep on the entire race!...this was also a good idea. 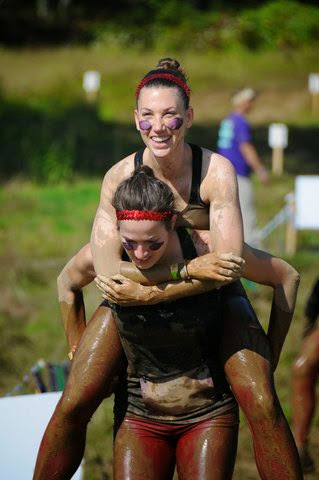 the theme of mudderella is "own your strong," & it's all very female bonding & women are strong sort of thing. 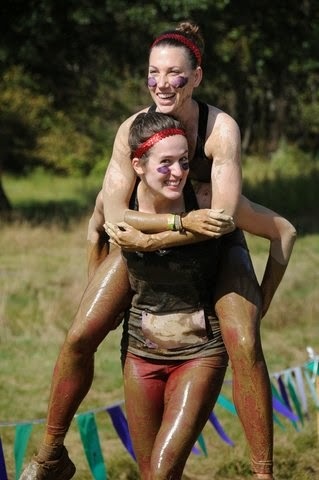 we ran the race as a team & helped each other complete every obstacle, so there was all sorts of good crazy bonding. 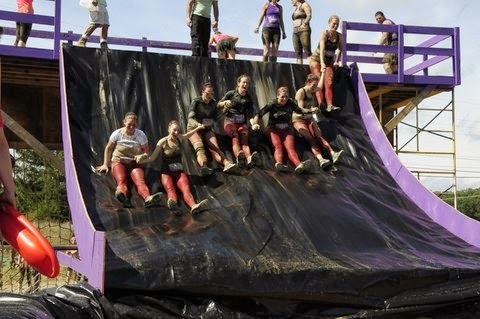 love my team red pants ladies. 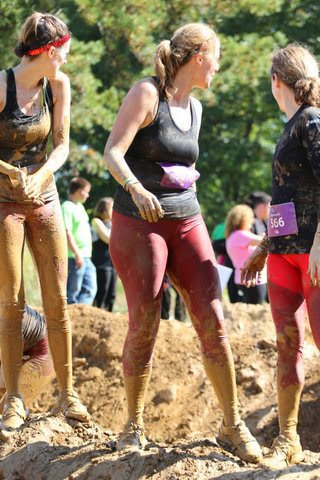 when i first decided to do the sign up for the mudderella, i thought, "okay, i'll just do it this once, to say i've done one of these mud runs, & then i'll never have to do it again." but guess what? i. LOVED. it. 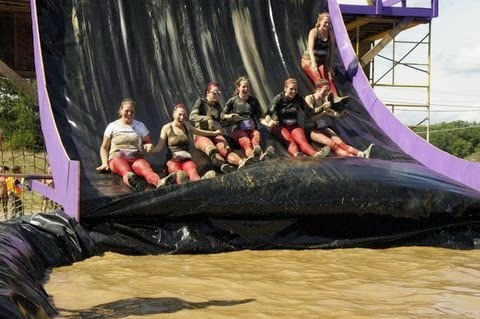 it was so much fun...so much fun, that i'd do it again! i'd sign up for another one in a heartbeat. own your strong, own your strong.